Last year, The Echo Friendly achieved a prime song placement — their song “Same Mistakes” was featured as the closing credit music during an episode of HBO’s Girls. For an indie band from Greenpoint whose songs are often about the fact that the group’s two protagonists are ex’s, the song placement couldn’t have been any more appropriate. What follows is the big question — if The Echo Friendly can parlay this exposure into career momentum. When we experienced their outstanding performance to a packed room at our CMJ show at Cake Shop, there was a palpable sense of excitement in the room and the big question was answered with a resounding yes. The songs are there, the band is tight, and the stage energy is intense. We expect big things from The Echo Friendly, and we’re pleased to have been able to have them at our party this year. I recorded this set in the same manner as the previous recordings from this show and the sound is equally superb. Enjoy! 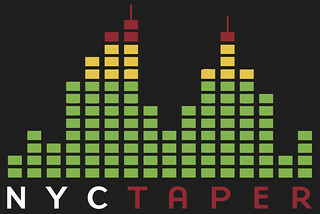 If you download this recording from NYCTaper, we expect that you will PLEASE SUPPORT The Echo Friendly, visit their Facebook page, visit their page at Cantora Records, and purchase their official releases from their bandcamp page [HERE].